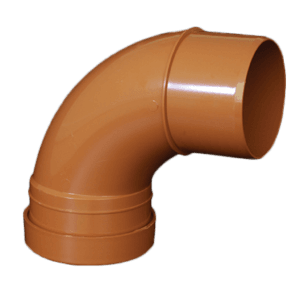 Buy Press Pipe Wall Seals - Only Available at EasyMerchant - Low Prices! The pipe wall seals are adjustable allowing you to seal pipework through external walls or basement walls. These innovative products are new to the UK market and are now becoming specified for new works done. They stop ingress of water as they do not contract like concrete does so no open gap is left during installation of the pipework. The innovative press wall seals from Hauff-Technik offer you every possible chance for reliable sealing of core drills or wall sleeves for a number of pipes. These range from closed seal inserts for first time installation to divide seal inserts for retrofit sealing of pipes that have already been laid. 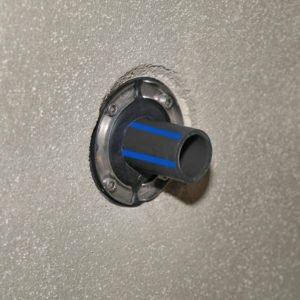 These units make installing pipe through exterior walls or basement walls a cinch, they stop damp or leaks, are easy to install, save time and are cost effective! We can provide the ideal press seal and pipe seals for every requirement and task, be it tailor-made into the millimetre or suitable for universal use on site, centric or eccentric. Quick and cost-effective. Modular pipe wall seals are a well established product in the world of pipeline sealing. They offer a high level of flexibility as well as the the advantages of a mechanical sealing system. 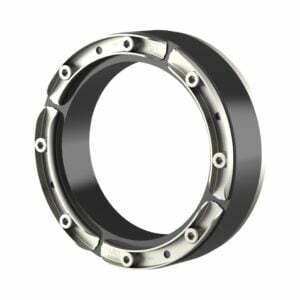 Hauff-Technik optimised and has refined the modular seal. The sealing of civil works is getting to be of increasing importance. 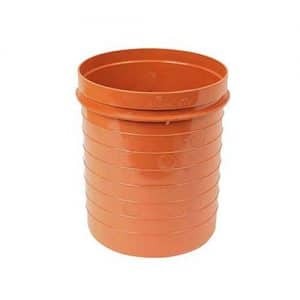 A large number of lines and pipes using differing diameters for disposal and supply are fed through the wall. For an accurate and tight final seal of these wall openings there is a procedure for sealing the pipe through concrete walls that is demanded, it is uncomplicated, flexible, easy to handle and nevertheless dependable. In case of damage the cost for rehabilitation are often many times greater than the cost to get a reliable pipe wall seal system. There are a popular solution that is cost effective, time saving, flexible and dependable. The modular sealing system from Hauff-Technik allows a seal with just 12 different segment sizes for pipes from diameter 48.3mm to 2000mm and an annular space between 19.5mm and 98mm. Besides the classical benefits of a pipe wall seal, Hauff-Technik's products offer added benefits. While using the seal on lager pipelines with which a greater number of segments have to be used. In such situations installation takes some time since it is necessary to tighten the bolts many times. Very easily one segment can be overlooked and/or not tightened enough. The wall pipe seals from Hauff-Technik offer an installation controller that is visible. There is a indication rubber visible at the top pressure plate and is compressed when tightening the bolts. Therefore a visual control - checking if the yellow indication rubber is shown on each pressure plate gives you the peace of mind. The rubber components are made of EPDM (Ethylen-Propylen-Dien-Rubber) or if required from NBR materials. The pressure plates are manufactured form solid glass fibre. (Acryl-Nitril-Butadien-Rubber) offering a high resistance to oil, grease and all standard fuels. The bolts and nuts are made from stainless steel V4A (AISI 316L). Beside the installation safety we made a point of using quality materials for all components.